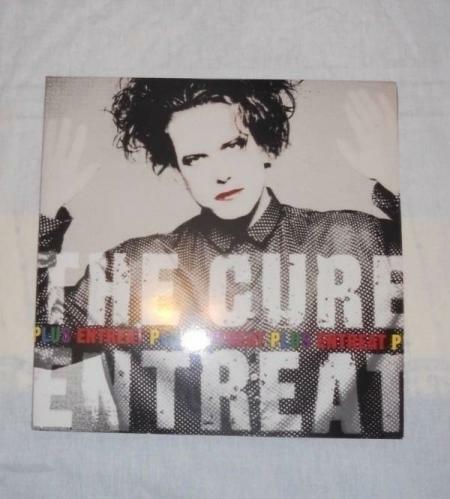 This is The Cure Entreat Plus LimitedEdition #126/1000 that was only available at Record Store Day 2010. It is in used opened condition. Each record has a one of a kind mark on both sides. A great album and a rare find. Please buy now with confidence. I bought the dual record set new at Ebay for around $450 or $500 I can't remember. I will consider reasonable offers. I'm really trying to get this sale on for all you collectors and I will ship fast upon payment. Thanks. Now with 6 days left I've dropped the price to $280.00 you're not going to find this record for this price again. Another thing, when I bought the record new the record sleeves were cut at the edges slightly, no big deal, just literally right on the edge of each record sleeve. The records have been well taken care of, and of course they play thru.